This cake is insane. It's massive, probably too sweet, has 5 separate elements, and is totally awesome! Of course, my health conscious mother never bought us Wagon Wheels when my brothers and I were young, and oh, how we jealously pined for them when other kids brought them to school for lunch! When Vegan Mom and I were dating (and not yet vegan) in university, we used to keep ourselves motivated to study through the positive reinforcement of Viva Puffs. This cake evokes all of those memories, and is simply a lot of fun to make and eat. 1. Grease two 10 inch round cake pans. Cut out two circles of parchment paper to fit in the bottom of the pans. Put the parchment papers in the bottom of the pans and grease it. Flour both pans. 2. Sift flour, cocoa, baking powder, baking soda, and salt into a bowl. In a separate bowl, whisk chocolate soy milk and vinegar together. Add remaining ingredients and whisk well to blend. 3. Add dry ingredients and gently whisk until blended. Don't overdo it. 4. Divide batter evenly between the two pans. 5. Bake for 22-24 mins, or until a toothpick comes out clean. 6. Cool on wire racks for 10 mins, then flip the pans over the remove the cake. Remove the parchment paper. Let them fully cool. 1. Mix together dry ingredients. Cut in vegetable shortening with a pastry cutter to the size of small peas. 2. Add syrup and soy milk and bring together into a ball. Add a tiny splash more soy milk if needed. 3. Divide dough into two equal pieces. 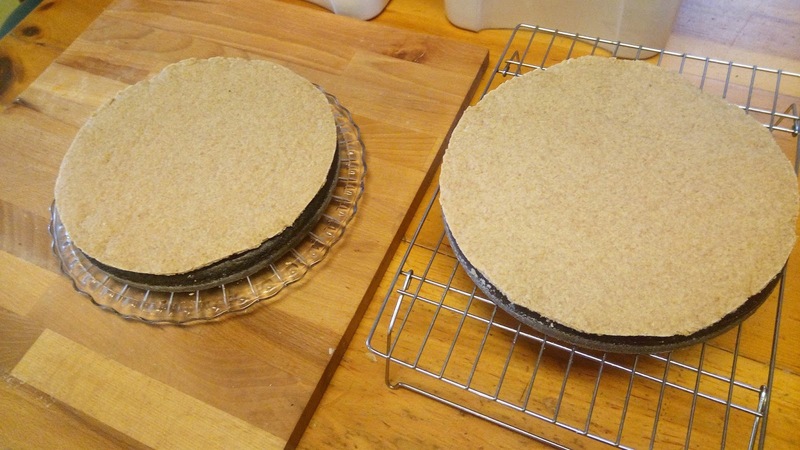 Roll and trim each into a 10" circle on a piece of parchment paper, using the cake pan as a guide. Don't worry, you can trim it more after it is baked. 4. Place each piece of parchment/dough circle on a baking sheet. Place in the fridge to cool for 30 mins. 5. Heat the oven to 350 degrees. Bake one the middle and upper rack for 10 mins, rotating and switching the racks after 5 mins. Cookies should dry on the top and only very, very lightly brown. Do not over bake. 6. Remove from pans (parchment and all) to a cooling rack. When cooled, trim as needed with a small sharp knife using the cake pan as a guide. 1. In a large bowl, whisk aquafaba and xanthan gum to stiff peaks with a hand mixer. Whisk in vanilla. Set aside. 2. Bring the sugar, agar, glucose, and water to boiling in a small saucepan over medium heat. Bring to 250 F, stirring regularly/constantly to keep the mixture from sticking to the bottom of the pan. Be patient. The sugar will quickly jump in temperature, plateau, then rise again. Resist cranking the heat to hurry the process along. 3. Slowly stream the hot sugar mixture into the aquafaba, constantly whipping it in with the hand mixer. When the sugar mixture is fully incorporated, keep whipping the mixture until it returns to room temperature (more or less--the bottom of the bowl should not feel warm). You can do all this with a stand mixer, but I find that the sugar mixture likes to get caught up around the top of the beater, so using a hand mixer is better). 1. Heat coconut milk to bubbling in a small saucepan over medium heat. 2. Remove from heat and add chocolate chips and margarine. Stir until everything is melted and smooth. Set aside to cool completely. 1. Bake and cool the cake. 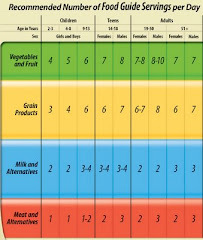 Level the top of the cake, if necessary (i.e. make sure it is flat and not domed). 2. Bake and cool the graham cookie layer. Trim to fit on top of the cake (you can do this while the cookie is still slightly warm if you want). 3. 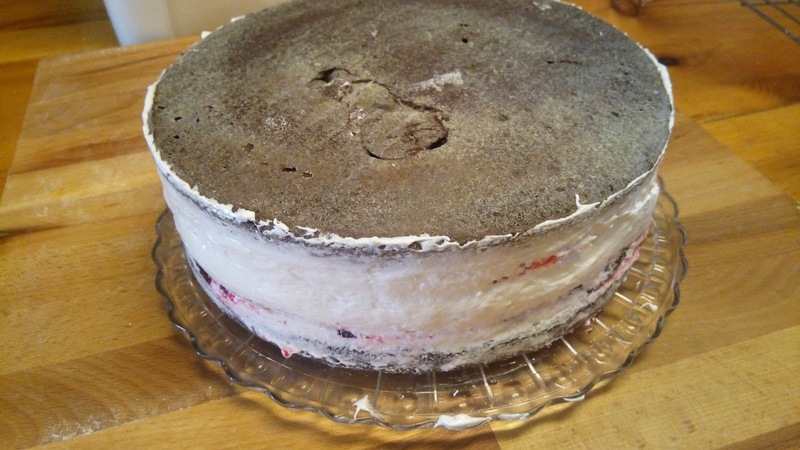 Place one of the cake layers on a serving platter. Spread 3/4 cup of raspberry jelly on top. Place one of the graham cookies on top of the jam. 4. Repeat step 3 with the remaining cake, jelly, and graham cookie, and set aside. 5. Make the marshmallow. The marshmallow will set fairly quickly, so be prepared. 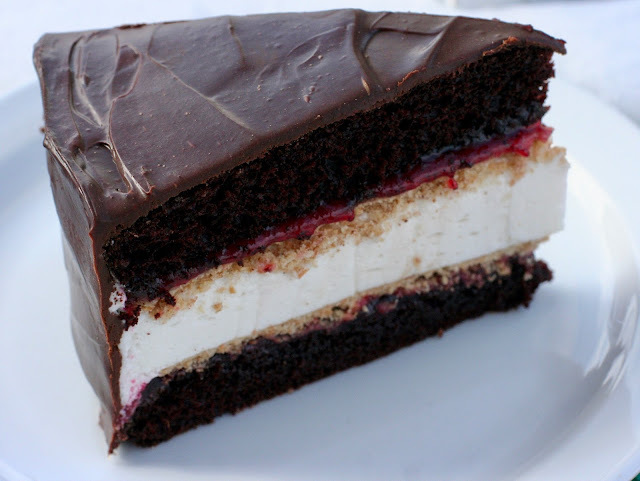 Spread 7/8 of the marshmallow on top of the cake/jam/cookie layer in your serving platter. Put the second cake/jam/cookie layer on top of the marshmallow (making sure the cookie side is down and the cake layer on top). Gently press down and use an icing spatula to smooth the sides. Use the remaining 1/8 of the marshmallow to aid in this endeavour. 6. Let the marshmallow fully set. I like to put the cake in a cool place for this step because it makes the ganache step easier. 7. Make the ganache and let cool to room temperature. 8. Spread a thin layer of ganache over the entire cake, like you would a crumb coat of butter cream. Set aside in a cool place (the fridge) to set. 9. 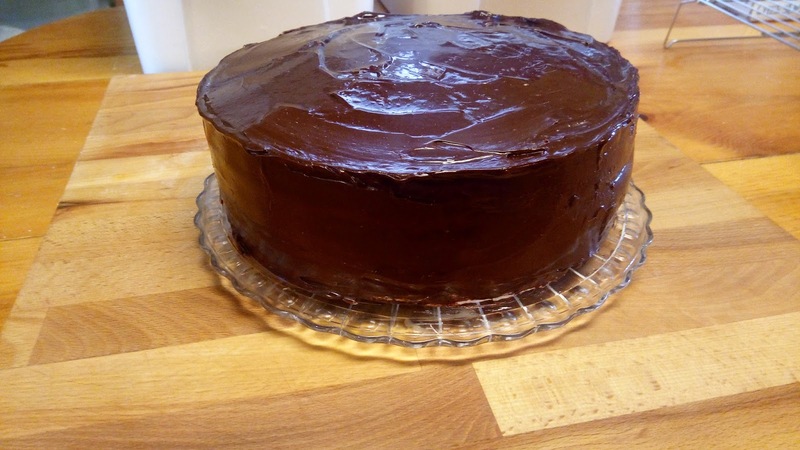 Use the remaining ganache to cover the cake. Set aside in a cool place to set.